Why is my spelling so bad? Have you ever felt the fear of having to write out a note to someone, knowing without a doubt, that you will most certainly misspell some easy-for-others-to-spell word. You can just see the recipient reading the note and shaking their head. Feeling like your lack of spelling skills will make you look stupid. Many people judge bad spelling as a sign of a lack of intelligence. Or a lack of education. Neither is necessarily true. To me bad spelling is evidence that we all use our brains differently. That different brain centers contribute to different functions. That we connect those functions in different ways. It is not a sign of a lower IQ. Others may assume it’s a lack of discipline. “Why don’t you use the dictionary” or “Didn’t anyone ever teach you in school?”. Or even blame the liberal creative spelling era that schools went through in the 60’s and 70’s. But again, I would argue it is neither. Neuroscience has given us some clues. When a child is first learning to read, brain scans tell us that they are predominantly using two areas of the brain. One in the left inferior frontal gyrus and the other back in the left parieto-temporal system. These are slow and analytical areas of the brain. And that is what the child is doing, analyzing every little bit. Later as that child becomes more a more fluid reader another area of the brain has fired up. The left occipito-temporal. This area recognizes words rather than analyzes. Teachers recognize when this has happened. A student just gets reading all of a sudden. They go, almost instantly, from analyzing to fluent reading. This happens with about 80% of readers. If it doesn’t then there is likely a problem. And sometimes, this area doesn’t fire up but the reader finds a way to compensate. In other words, the seem to read well, but they are not using the parts of the brain that most people use. A condition very related to dyslexia but will likely never be diagnosed as such. So the reader can read, but not spell. What is likely happening here is that this person is predominantly using the auditory centers for reading. With very little use of the visual centers. This can lead to problems in spelling, and possibly comprehension. So when it comes to putting those words down on paper that person will try to use those auditory centers. Good spellers don’t do it that way. Good spellers use the visual centers to spell more efficiently. They simply “see” the word. 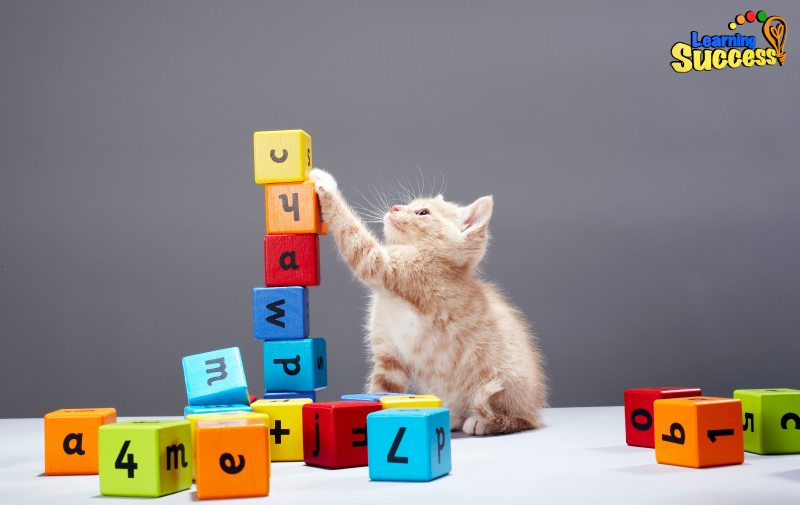 Good spellers and poor spellers are likely using completely different processes. Good spellers just see it. Just read the word in their mind’s eye and put it down on paper. Where poor spellers are left to use the auditory centers. They try to sound it out. and as we all know there’s probably a half a dozen ways to phonetically spell most words in the English language. I think it comes in two parts. Use bilateral coordination exercises to help the different brain centers connect. Research has shown that bilateral coordination exercises (physical exercises that cross the midline of the body) have a large effect on reading skills. It’s kind of strange but learning to move the body in certain ways dramatically improves reading skills. These exercises cause neurogenesis (new brain cells) and neuroplasticity (new brain cell connections). Allowing areas of the brain to be strengthened. This is the foundation of the Learning Success System. Exercise the areas of the brain that need exercise and use BCE’s to help them grow. BCE’s are like push ups for the brain. Just adding more spelling practice generally won’t do the trick. There’s a difference in the brain that won’t let that spelling practice help. If it hasn’t helped yet it likely won’t ever help. Unless you fire up those visual centers of the brain. Poor spelling is one of the most common symptoms of dyslexia. Dyslexics are typically using different centers of the brain for language tasks. They haven’t accessed the other parts. That can be changed. We are not stuck with the brain we were born with. We can change it with a little work. It’s not uncommon for spelling to “just click”. For a person to go years and years as a bad speller. Then the right part of the brain fires up and everything just falls into place. Just like kids when learning to read make that leap. It’s not a gradual thing. It’s a quantum leap. Fair or not, people are judged by their spelling. 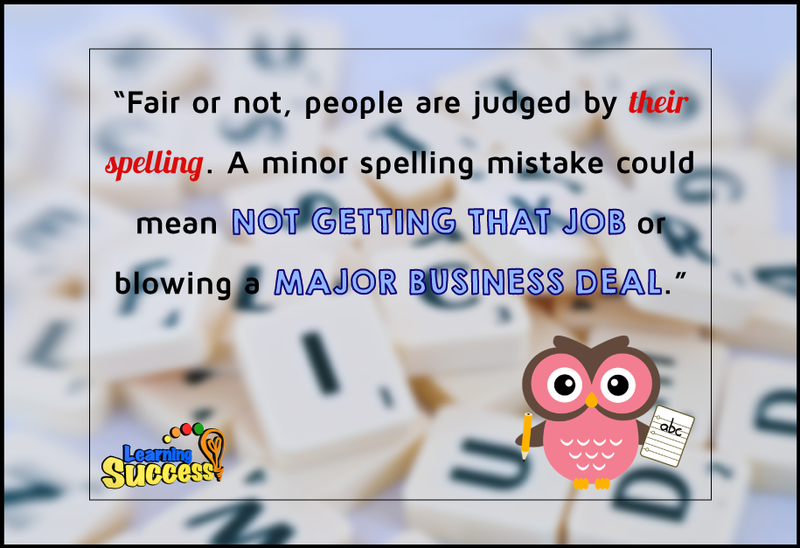 A minor spelling mistake could mean not getting that job or blowing a major business deal. With the right exercises, sometimes spelling just clicks. Aside from the judging, adults and children alike get terribly embarrassed over poor spelling skills. They feel bad and they look bad. But it's good to know that you can do something about it? Do You Need help with a Spelling Difficulty?